"One of the things I remember about that day was all the compliments I received from our guests regarding Alice. In addition to being well organized, Alice was friendly, helpful, quick-thinking and most importantly, proactive instead of reactive. Alice made sure everything went according to the schedule and got everyone where they needed to be when they needed to be there. Before the big day, Alice and I met on numerous occasions in addition to countless phone calls and emails. Alice contacted all of our vendors before the wedding to make sure they all knew what they were doing and when they were expected to do it. She made planning our big day as stress free as possible and always had suggestions and insight into what works and what people think works at weddings...there is a difference between the two! It rained a little on our wedding day. 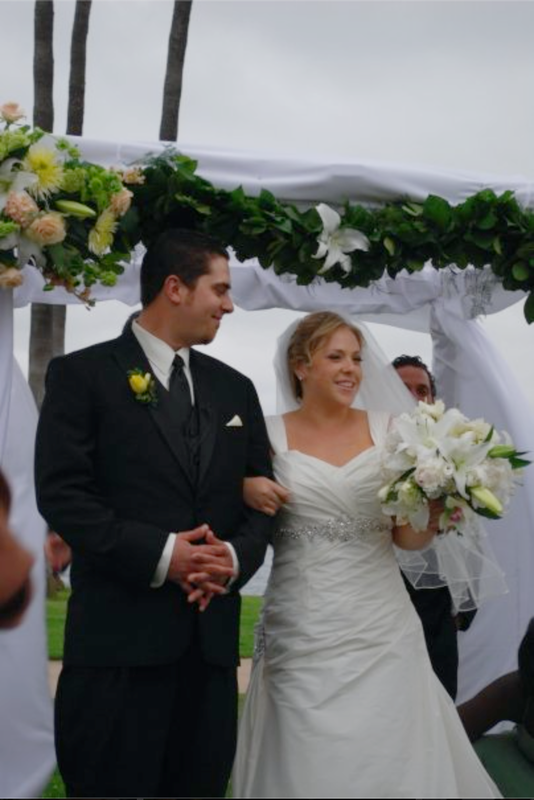 Our ceremony was planned to be outside along the Bay here in San Diego. Once the rain stopped, Alice had the hotel staff drying off the grass with towels so as not to ruin anyone's shoes or attire. Just one example of Alice's proactive & quick thinking that made the day better than I expected. I also recall the vendor brought chairs when we had cancelled that part of the order. The vendor wanted to charge us for all the chairs and before I could even ask her, she was down there talking to the vendor and suddenly they were only unloading what we ordered then went on their way. I was relieved about not having to deal with the chairs or the vendor. Alice went above and beyond for us and I know she does that for all of her clients. She is smart, talented, organized, well connected and has a great smile and personality to match. What more can a girl ask for when planning her wedding? I would recommend Alice to anyone that I know is getting married and looking for a great wedding planner/coordinator."